Virginia International Raceway…The NASCAR K&N Pro Series East (NKNPSE) heads to Virginia International Raceway (VIR) this weekend for the second and final road course event of 2015, the Biscuitville 125. No. 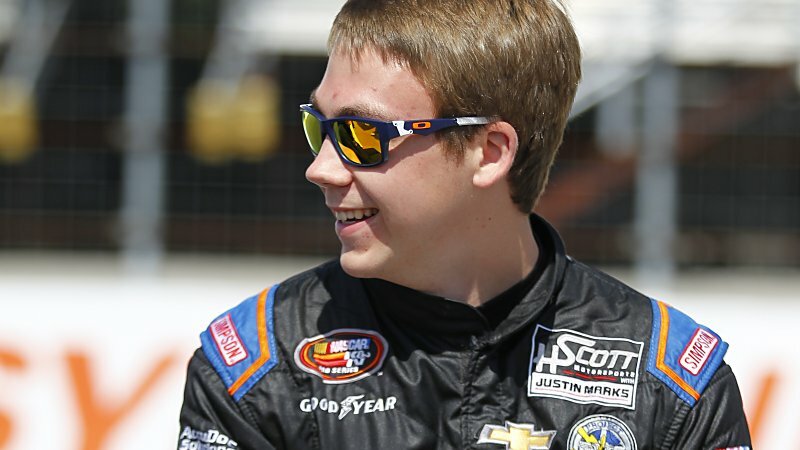 34 Scott Heckert…Heckert enters the Biscuitville 125 looking to return to victory lane in a NKNPSE road course event. The 21-year-old is coming off a race at Motordrome in which he finished fourth, marking the eight top-five finish for Heckert through 11 events in 2015. Heckert looks to make it four in a row on the road courses this weekend at VIR after capturing his third-straight at Watkins Glen a few weeks ago. In 2014, Heckert captured the pole for this event and led 11 laps en-route to the victory. Heckert enters the Biscuitville 125 trailing teammate William Byron by 12 points in the NKNPSE Driver Point Standings. The Biscuitville 125 gets underway at 4:35 p.m. EDT on Saturday, August 29. The race will air on Thursday, September 3 at 7:00 p.m. EDT on NBCSN.